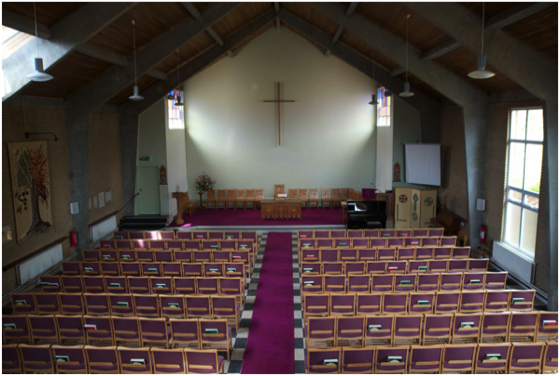 Welcome to Homewood Road United Reformed Church. 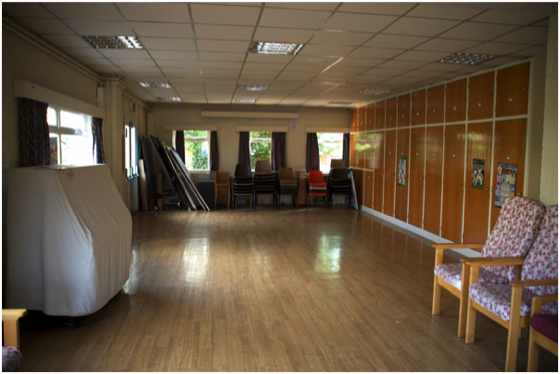 We want to be part of the local community and for our excellent facilities to be available for use. 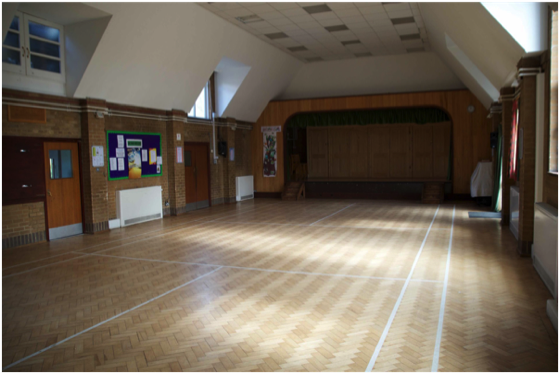 Our hall use charges are kept as low as possible so that we can continue to offer good and safe facility standards to all those in our neighbourhood. We are easy to locate at the corner of Homewood Road and Sandpit lane and we have parking available on site. Most of our rooms have wheelchair access and the use of tables and chairs is included in hire costs subject to availability. Other facilities e.g. sound systems, crockery etc. are available by arrangement. 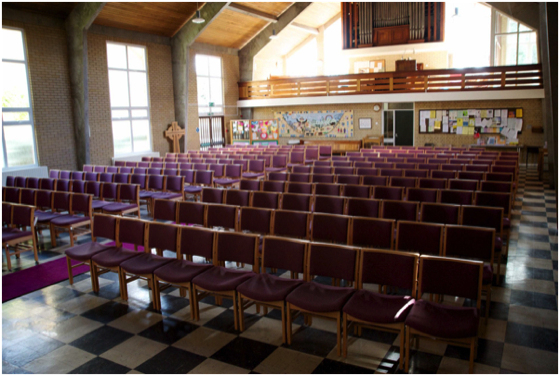 The Church accommodates about 220 people. The piano, organ, staging and sound system are available by arrangement. The main hall will accommodate about 150 people in theatre style or about 100 seated at tables. There is a raised stage with curtains. 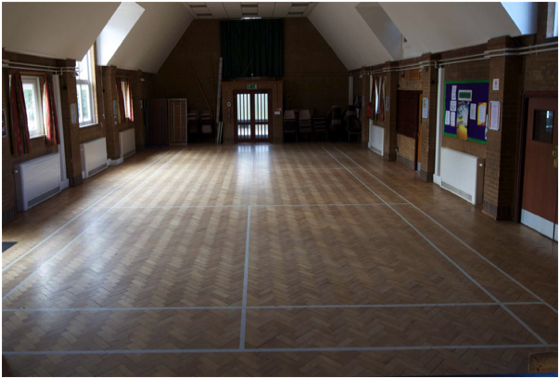 The floor is marked out as a badminton court. 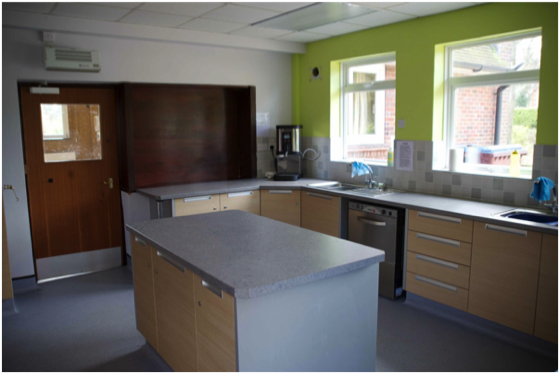 Chairs and tables are available and the kitchen is adjacent to the main hall with a serving hatch to the hall. 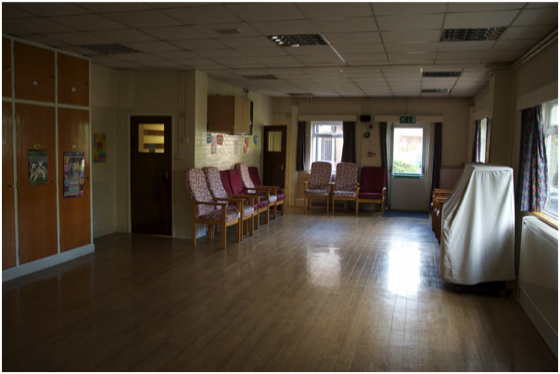 The back hall will accommodate about 40 people safely and comfortably, though its capacity depends on the nature of the event. 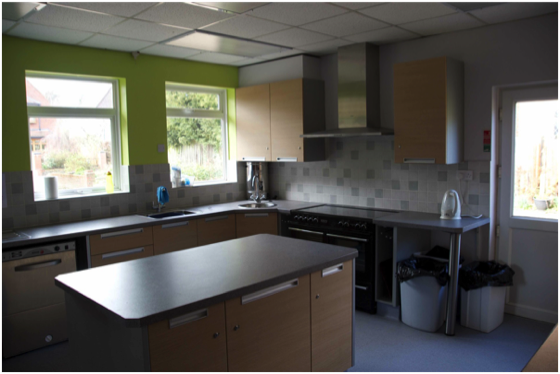 The kitchen is adjacent to the main hall and close to the back hall. It is fully fitted with twin oven cooker, mobile warm cabinet, refrigerator, microwave oven, hot water dispenser and a commercial dishwasher. To reserve exclusive use. No charge for shared use for light refreshments i.e. tea and coffee. Use of Church for ticketed concert. Public events, including fund raising, entertainment or sale of alcohol may require a temporary event licence. It is the user’s to ensure compliance with legislation. Discuss with the hall booking administrator if in doubt.